Getting around Croatia isn't really difficult, but it does require some planning. Since it's a question that concerns almost every visitor to Croatia, we've decided to give you an overview of what to expect, and to help you better plan your travels within the country. Public transport in Croatia is excellent, with extensive bus, and ferry networks. You can also get around by plane, and hydroplane (since 2017 this service is no longer available). Train travel within Croatia is unfortunately very limited. If you decide to rent a car, you'll find that roads are in great condition and driving around is pretty easy. Flying is the fastest way to get around Croatia. But with only one domestic carrier, a large national carrier – Croatia Airlines, flying is not always the cheapest travelling option within Croatia. Main airports are Zagreb, Pula, Rijeka, Zadar, Split and Dubrovnik. However, only Zagreb, Split and Dubrovnik airports serve international flights a year around. Other airports are seasonal. If you plan on visiting Dubrovnik from Zagreb, flying there is perhaps your best travel option. First, Dubrovnik is the southernmost town in Croatia. Second, multi-lane highway goes only as south as Ploce. From Ploce to Dubrovnik you'll need to drive on a single-lane (each direction) coastal road. The last, but not the least, the main coastal road to Dubrovnik passes through Bosnia, which means that you'll probably lose precious time waiting at the border crossing. Expect to pay around 90 € for a return-ticket from Zagreb to Dubrovnik. If you would like to pack as many places as possible in whatever little time you have in Croatia, then you might consider flying one way and driving another. For example if you fly into and out of Zagreb, you might rent a car, drive down south, stop along the way, and once you reach the southernmost point of your trip (Dubrovnik perhaps), you can drop off the car, and fly back to Zagreb. Note : As is only one carrier operating on national routes, your only chance to get an affordable ticket is to book early. We suggest you to book directly with an airline to secure the best deal. When it comes to public transportation in Croatia, buses are your best option. Bus network in Croatia is extensive. Buses are frequent, fairly reliable, and affordable (though not cheap). Bus stations are usually in the center of town, or within walking distance from the center. A price of a ticket includes your luggage too, although if you have a bicycle or additional bags, bus drivers can ask you to pay extra for the luggage. There are many bus operating companies in Croatia, and not a single one runs on all lines. The largest national bus operators are Autotrans, Croatia Bus, and Cazmatrans. There are many local operators like Libertas in Dubrovnik region, Promet Split in Split region, and Liburnija in Zadar region. Getbybus does a fairly good job in aggregating different bus lines and schedules within Croatia. You can also book your tickets online through their website. If you travel to or from Zagreb, Zagreb bus station has a good overview of timetables for all buses, and you can buy tickets online. You can also visit a website of larger bus operators for additional information. Autotrans has a good user-friendly website. You plan to spend enough time in Croatia, like two weeks or more, and you won't mind spending an additional time traveling on bus. You only need to go from point A to point B, and then stay put. If you are a solo traveler or a couple on a budget, bus is perhaps your cheapest option to travel around Croatia. For larger groups and families, it can get as expensive as renting a car. You don't feel comfortable driving on Croatian roads. If you don't plan on travelling on bus around islands, or in Istria. These are the only places in Croatia where local buses are infrequent, and not your best travel option. Whether you travel by your own car, or plan on renting a car, driving is definitely the best way of getting around Croatia. Croatia is small and getting around Croatia by car is, not only the most comfortable, but often the fastest way to get around. It takes only 4 hour drive to reach Split from Zagreb, just over two hours to reach Rovinj, Plitvice Lakes, and Porec, and less than three hours to reach Zadar. Dubrovnik is the only faraway place to travel in Croatia by car (but that road trip offers the best scenery ever, and it's totally worth the effort). If you like to make impromptu stops along the way, and explore the less visited places and the countryside. If you like road trips. Those who travel in a group, or a bigger family, will often find that travelling by car is the cheapest option. 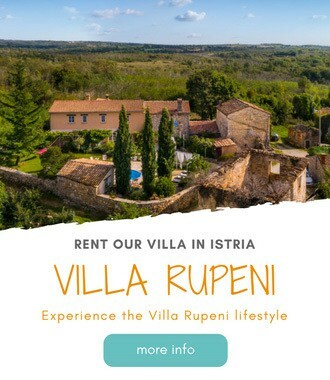 Those planning to visit Istria and to explore the region. If you plan to travel around any of Croatian islands. If you have a very little time but would like to visit few places. Note: Many people making a round trip of Croatia, often combine flying and driving. They either fly from north to south and then rent a car and make their way up north, or vice versa. Getting around Croatia will sooner or later get you on a ferry. Ferries are often the only way to reach islands. The largest ferry company is Jadrolinija, operating majority of routes with its extensive fleet of ferries and catamarans. Besides Jadrolinija, on some routes, you'll also find other operators like Kapetan Luka, G&V Line, Rapska plovidba, and Mia Tours. You can book a ferry ticket online for Jadrolinija and Kapetan Luka ferries. Other companies sell tickets only at the counter. In summer ferries are crowded, and you should arrive at least two hours prior to departure in order to board a ferry. When you arrive at the ferry terminal, line your car immediately for a boarding, then go to the counter to buy a ticket. Ferries operate on first come, first serve basis. If you don't make it to the first ferry, you'll need to wait for another one. Ferries are cheap if you don't travel by car. Should you take a car on ferry depends heavily on how do your plan to spend your time on an island. If you plan just to visit a ferry port village, then you won't need a car. But if you plan to explore the island, you'll need a car. You can also get around an island by bus, but buses are infrequent, and often don't leave enough time for a visit. You can also consider renting a car on the island in order to save on a ferry. But if you plan to do so, make sure you book your car rental well in advance. In high season it's hard to find an available car on the spot. As a way to visit an island you can also take private or group boat tours. These tours are available in all coastal towns. An island tour is usually to the nearest islands, and it includes a lunch on board. Some islands, like Lopud, Kolocep, or Silba, are car-free islands. Taxis are still very expensive in Croatia, except in Zagreb and Rijeka. Taxi service is heavily regulated, and fares are fixed. Taxi-meters are a norm, so make sure your driver turns it on. Uber is available in Zagreb and Split all year around, and in coastal towns like Dubrovnik, Zadar, or Rovinj only in high season (June to October). Uber in Croatia only works with licensed drivers. In short, don't plan much on using taxis, unless you don't mind spending lots of money. Although Croatia is a very safe country, I wouldn't recommend hitchhiking your way around. Vera claims she hitchhiked around Croatia a lot when she was in high school. But these days you don't see many hitchhikers on a road, and you see even less cars picking these few up. We hope you get a little bit better idea of getting around Croatia. Still have a question? Please leave them in the comments below. I request your help. We are 5 ladies who plan to visit Croatia and would like to visit Plitvice National Park. We plan on landing in Zagreb first, spend a few days here and then go to Plitvice. We would like to spend a couple of days in Plitvice. Could you please advise on the following. I have checked out details on the net and find that travelling within Croatia is not as simple as it seems. At this point I find it complicated so would appreciate any help you can give us. if we are traveling to croatia in August with children for 8 days , which Islands should we visit? Great website – very helpful! We are flying into Split next week (4 days there) then taking the Catamaran down to Dubrovnik (4 days there too) then taking the bus to Kotor (3 days on the bay) then bus back to Dubronik – taking boat over to Mjlet Island (2 days) and then onto Brac by boat (2 days) and then back to Split by boat to fly out. Does that all sound viable? I have booked most of the boats and and bus. We were going to get a car but it seemed like a lot of money and hassle in high season and would be expensive if we wanted to do islands too. Did a lot of research but want to make sure online tickets are safe and viable for boats and buses. What’s the best way to get from Vrsar to Dubrovnik without renting a car? I don’t want to drive as I’ll be traveling alone. Oct 1st for 1 week. Will either fly out of Dubrovnik or Split back to Seattle. Check Croatia Airlines flights from Pula to Dubrovnik, and taxi between Vrsar, and Pula airport – or bus to Porec, and then shuttle to Pula. How about getting from Vrsar to Split on Oct 1st? There are no direct flights out of Pula on that day and we don’t want to drive. Any ideas on shortest/quickest bus or train routes? I will be traveling with friends in July. We want to go by train from Zagreb to Split by train. Question: As seniors, would we be eligible for a reduced senior rate, even though we are not Croatian citizens? My experiences getting around Croatia in the last 10 years or so. 8. If you’re renting a car to get around Croatia it may be fastest and most flexible but also probably one of the most expensive ways even if you pack the car. The price of gas alone between Zagreb and Zadar is equal to bus tickets for five people. Add in car rental and it’s much more expensive than buses. 9. What’s wrong with buscroatia.com for one website to compare bus tickets? I didn’t mention ferries as I’ve only used them to cross back and forth to Italy. When I go from Zagreb to Ljubljana I always take the train. When I go from Zagreb to Dubrovnik I always fly. Everywhere else I use buses.